Building two terawatts of nuclear capacity by 2050 – enough to supply 10 per cent of the total carbon-free energy that’s needed – means building a large nuclear power station every week; the current worldwide rate is about five a year. 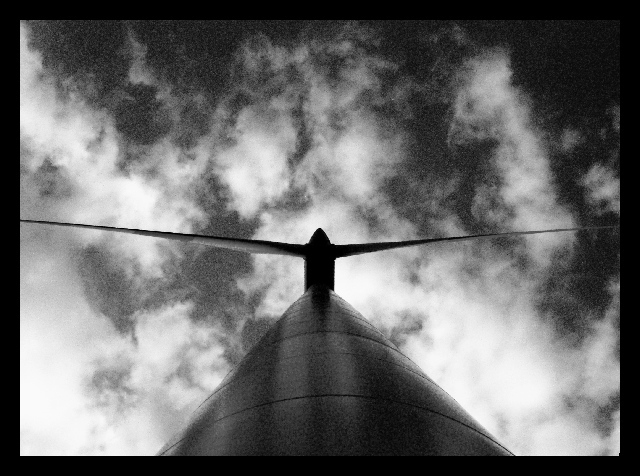 A single terawatt of wind – 5 per cent of the overall requirement – requires about 4m large turbines. Some people have since been in touch to get a source on those claims (a book proposal, as it happens: Gideon and I have the same agent) and I thought I might as well post the answer I emailed them here, as well. They’re rule of thumb figures — by which I mean certainly good to an order of magnitude and ideally to a factor of two or so — derived not from research per se but from simple arithmetic. Current world energy use is about 13TW. With realistic/optimistic growth figures for industrialising and less developed economies, 20TW in 2050 seems a fair ballpark. It also seems fair to think that electricity (and thus nuclear reactors and windmills) will become a larger part of the mix. As a rule of thumb, a nuclear station will be rated at about a gigawatt of electric power (IAEA figures that my former colleagues and I quoted here http://www.nature.com/news/2008/080813/full/454816a.html have 439 power plants producing with a combined capacity of 370 GW, for an average of 840 megawatts each, but newer stations are on the larger side, with the new Westinghous design at a little over a gigawatt and the new French design at a gigawatt and a half or so) and it will actually supply almost that much (nuclear power plants in mature systems typically run at almost 95% of the stated capacity, with a month of downtime every year and a half). So to build 2 terawatts of capacity (10% of 20TW) you have to build roughly 2,000 stations. 2,000 stations in 40 years works out at 50 stations a year. By a large turbine I meant a 1MW installation. You need a million of those for a terawatt of capacity. But unlike nuclear stations, wind turbines do not produce at their rated capacity very much of the time. On the basis of a system generating 25% of its stated capacity, which is pretty common, you would need 4TW of capacity for a terawatt of generation — hence four million turbines. Those wind figures are, with hindsight, a little pessimistic. Though anyone who has seen one will agree that a 1MW turbine is large, big wind installations these days, especially those offshore, tend to work on the basis of 1.5MW – 3MW turbines, sometimes even more. And a good farm well placed might generate as much as 33% of its stated capacity. With 3MW turbines at 33%, you get a terawatt with a million turbines, rather than 4 million. Oliver, Gideon Rachman’s article implied a deep pessimism about whether the installation of low-carbon electricity sources could happen fast enough to meet 2050 objectives. The scale of the challenge is indeed forbidding. In my response on Gideon’s blog, I suggested that although the required number of wind turbines and nuclear plants looks large, the annual rate of installation is not markedly greater than we have achieved in the past (nuclear) or are achieving now (wind). I see no reason why a carbon price of $50 a tonne could not largely decarbonise electricity sources by around mid-century. As David MacKay says, if we rely on any one technology we are likely to come up against boundaries (availability of land in the case of UK wind, though not in the US or China) but if we use a portfolio of electricity sources we do have the capacity to increase supply by enough to meet the greater requirements of both the developed world and the industrialising states. I suppose I am more pessimistic about getting a world carbon price than I am about building enough low carbon generating plants in time. The challenge is an enormous one, which makes it all the more tragic that governments are not yet seized with the seriousness and urgency of the issue.